The PBR supply-demand pattern noticeably changed in 2017. Operating rates hit a 5-year high. Customer groups also changed. The turning point happened in August 2017, due to the supply-demand changes as well as the arbitrage manner of newcomers. The overall profit from producing PBR in 2017 also provided guidance for new PBR project planners. We sort out the changing factors behind the highest operating rate in 2017; analyze in detail what happened to the arbitrage as the import volume and export volume of PBR obviously changed as well as the impact of environmental inspections on PBR industry. Besides, the implementation of tire labeling regulation in EU moved to the second stage. As for the China’s tire labeling regulation, 2017 was the second year that tire producers pasted the labels voluntarily. Thus, requirements on green materials from the tire industry will improve. Will the new neodymium-catalyzed PBR (NdBR) units become “potential stocks”? We will also provide a detailed analysis of NdBR supply pattern changes, technology sources and comparison of advantages and disadvantages. As a neutral, fair and impartial third party, Sublime China Information Co., Ltd. (abbr. as SCI) adheres to data statistics approach and provides actual market dynamics objectively. 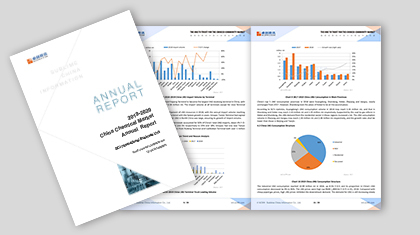 Completed with tables and graphs, this report will present visual, detailed and comprehensive analysis based on PBR capacity, output, import and export volume, operating rates, profit, demand, etc. (1) Help to predict further development trend based on nearly 5-year’s changes of capacity, output, operating rates and import and export volume at China’s producers. (2) Help to better understand newly-added PBR capacity and keep up with the industry development with global newly-added PBR projects status in the next 5 years. (3) Objectively analyze the price-driving factors combined with the influence of environmental protection policies on upstream and downstream industries. (4) Analyze the NdBR industry development trend and future opportunities, given China’s environmental policies.